One of the ways I relax or stay in tune as a stay at home mom is by listening to podcasts. I listen to at least one or two episodes during Luna's nap and while I am taking care of stuff around the house. Also, as I have mentioned before we do not watch television during the week, therefore, listening to interesting stuff keeps me entertained and informed instead of sitting on the couch. Undisclosed is a follow-up to the infamous Serial podcast. Slate's Parenting Podcast is self-explanatory and offers real parenting stories. Happier with Gretchen Rubin caught my eye because I have read her books, and I like the idea of being happier. The Productivity Show provides tips on how to be more productive in all aspects of your life. Sleep with Me is a podcast to help you sleep, and I have listed it on my Friday Favorites as well as mentioned it several times. I am not a Game of Thrones fan, but surprisingly it still puts me to sleep. I use these at night and they help. Invisibilia as indicated on the podcast is about the invisible forces that control human behavior. They tell real stories interwoven with scientific research. It is super interesting. Dr. Laura is an old school lady with some honest talk. I was almost afraid of adding her podcast to this list but, I like her so there. 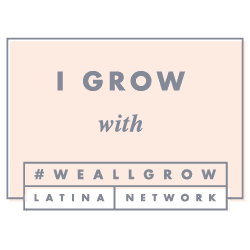 Latino USA is geared towards learning about the latin culture, but even if you are not a Latino, they have some great episodes (music & history) you may still want to check it out.